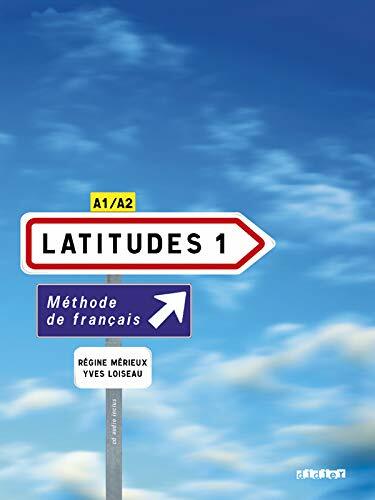 The Alliance Française of the Lake Champlain is excited to introduce a brand new methodology and new class materials (the Latitudes collection) starting this Spring Session. You are one of the main teachers at the Alliance Francaise. We have heard that the Alliance Francaise is implementing a new methodology. We want to hear more! I am so excited to start this spring session! The new methodology is lively and engaging, and the language is presented in a real-life practical context. All of that with the intention to strengthen the language competencies such as writing, reading, listening and speaking, and tidbits of cultural observations from the francophone world. How is this method different from the one you previously used? Both programs have a similar progression, but the new method will definitely engage students more with their listening comprehension and their communicative skills. The method comes with a CD and plenty of auditory activities . How is it going to change our students’ experience? They will learn the language (and discover the francophone culture) in an authentic context. Throughout activities, students will understand (and make sense) of grammatical concepts and verb conjugation, but it is not the main goal of the method! What is particularly exciting to you, as a teacher? It is exciting to use a method that get students not to focus on the details of the language, but rather engage them to communicate with and use the language pretty early on. Learning a language is similar to learning to ride a bike, you need to go on it, practice more, fall and get back on it. To me, it is useless to observe and name all the parts of the bicycle but not be able to ride it! Could you briefly tell us about you and your experience as a teacher at the Alliance Francaise? I feel honored to be able to share my passion for French and its cultural diversity with the Alliance Francaise. Students are curious about the language and always have so many interesting questions… Additionnally, I am very thankful for the fact that the Alliance Francaise listens to the teachers ideas and their feedback. A lot has been happening this year. Would you tell us a little bit about the Alliance Francaise new space on King St? It is very cozy. Depending on the style of the class, we can sit in the “living room” area, but there is also the option of a more traditional setting with a large table and a board to write on. The Colchester space is still being used. Could you tell us about this space too? The Colchester space is very useful. There are two rooms available. One room has a bigger space, with a projector.